This is the question that should get an answer from you. 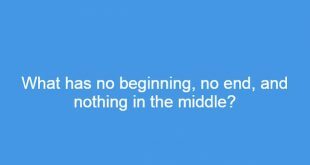 What has no beginning, no end, and nothing in the middle? If you don’t have any answer, I will give it for you but it will be good for your brain if you thing deeply.